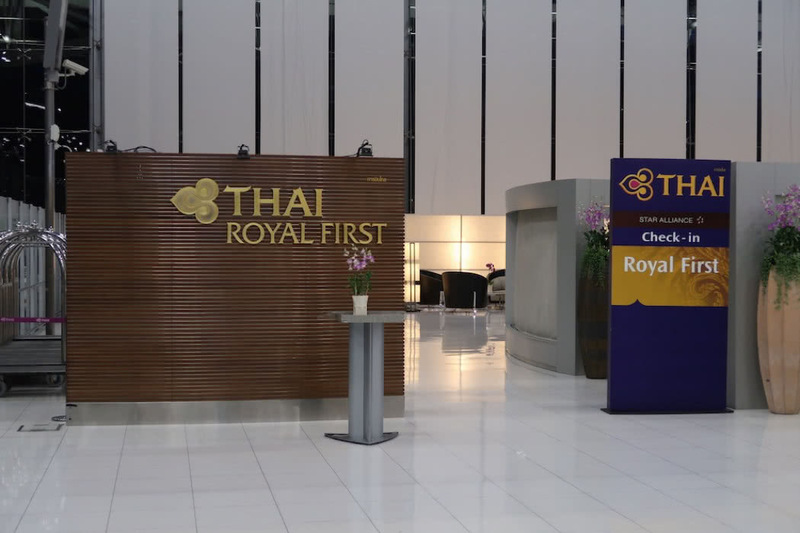 I reviewed the Thai Airways First Class Lounge at Bangkok Airport before boarding my flight on Thai Airways Boeing 747-400 in First Class known as Royal First from Bangkok Airport, in Thailand to Munich Airport (MUC) in Germany. 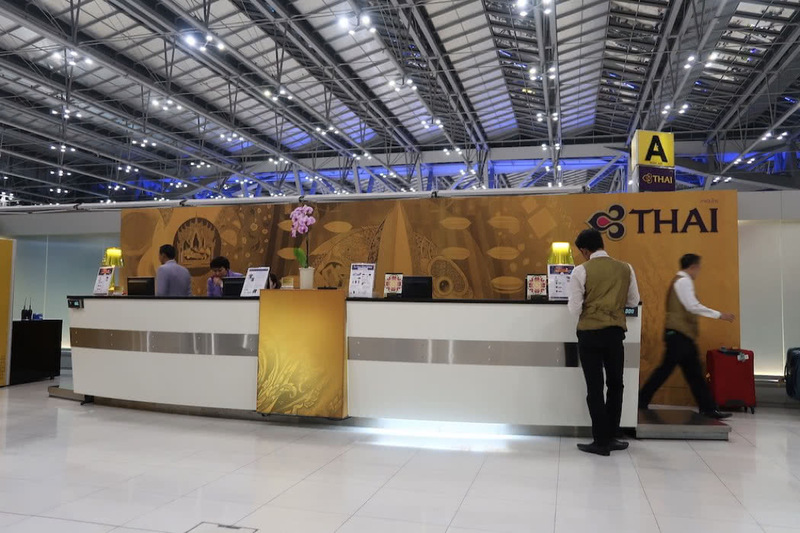 Thai Airways has a separate entrance and check-in counter for its First Class passengers: you are invited to take a seat and are offered a cold towel and bottle of cold water while the ground staff checks you in, after which you are escorted through the border control and security to the entrance of the Business Class Lounge. 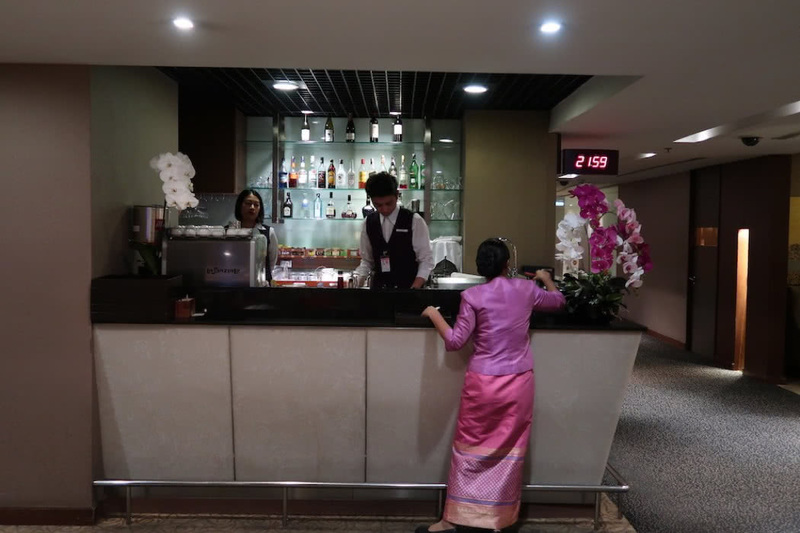 Here, another ground staff member takes you on a buggy through the Business Class lounge to the First Class lounge’s reception (which is quite fun, albeit a little odd at the same time since you get a lot of attention from other passengers). 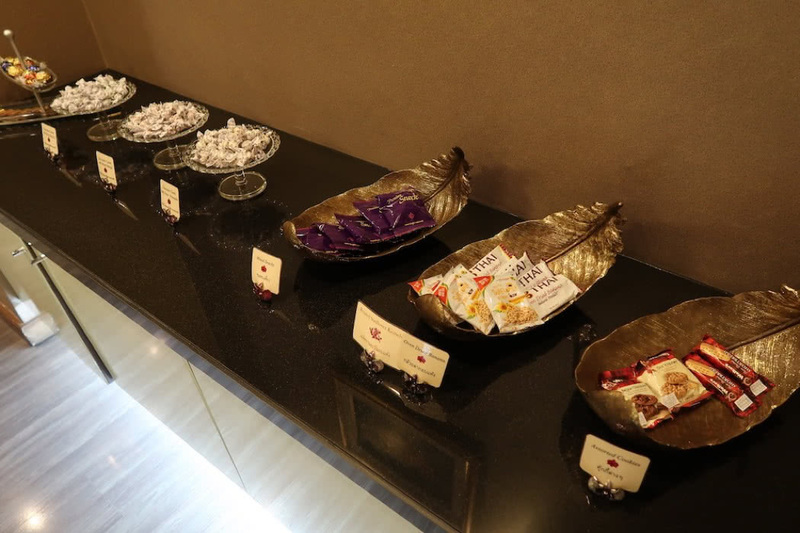 The First Class lounge, called Royal First lounge, is a large rectangular room, with plush seats and luxurious loungers, decked out in colourful pillows and arranged around coffee tables. 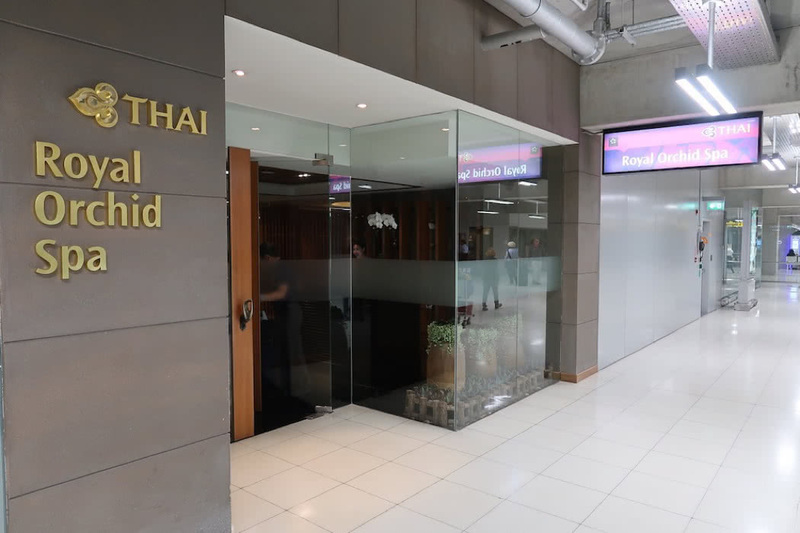 The space features a refined decor, with a fusion of contemporary design and traditional Thai elements. 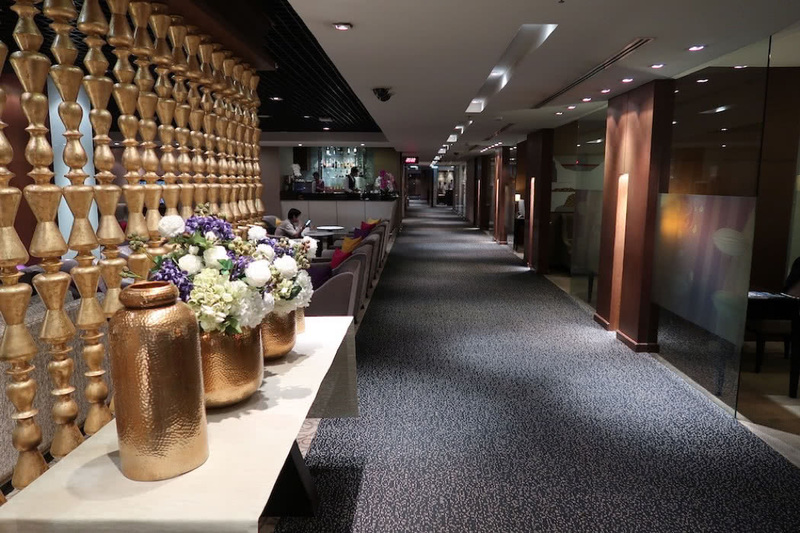 Impressive flower displays add a subtle, colourful touch to the stylish interior. 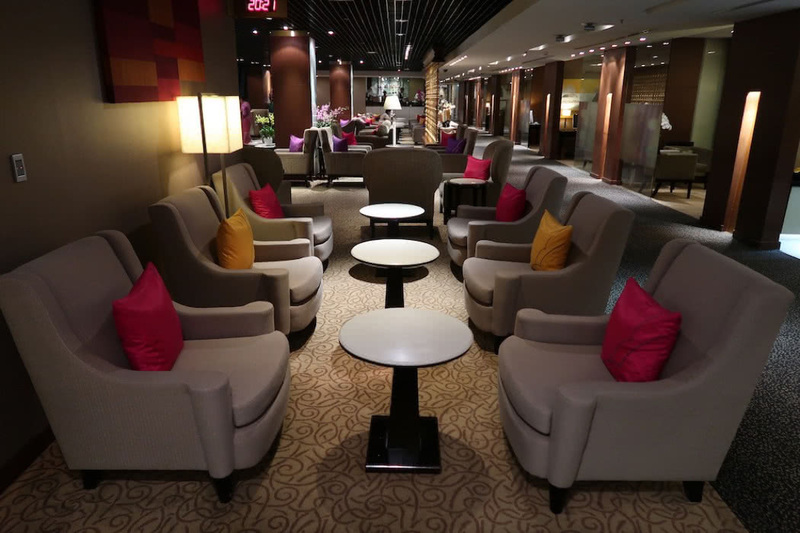 There are six private rooms on the side with loungers and computer stations, which are great if you need more privacy or want to work while waiting for your flight. 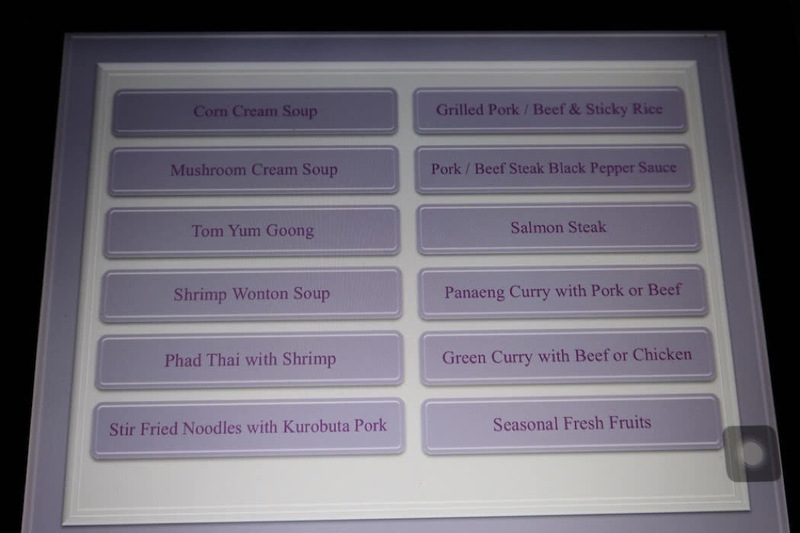 Food in the lounge was excellent, with all food and dining options displayed on a tablet. 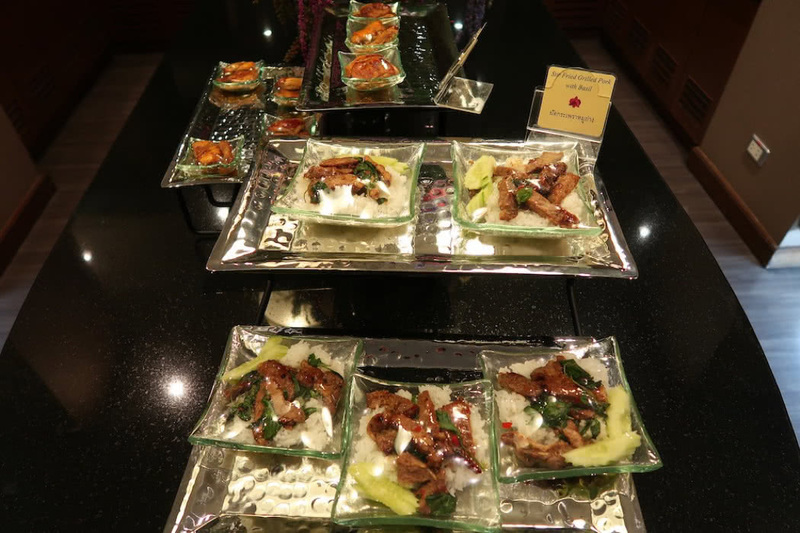 The menu included Thai dishes such as shrimp wonton soup, shrimp pad thai, tom yum goong, and panaeng curry with beef and rice. 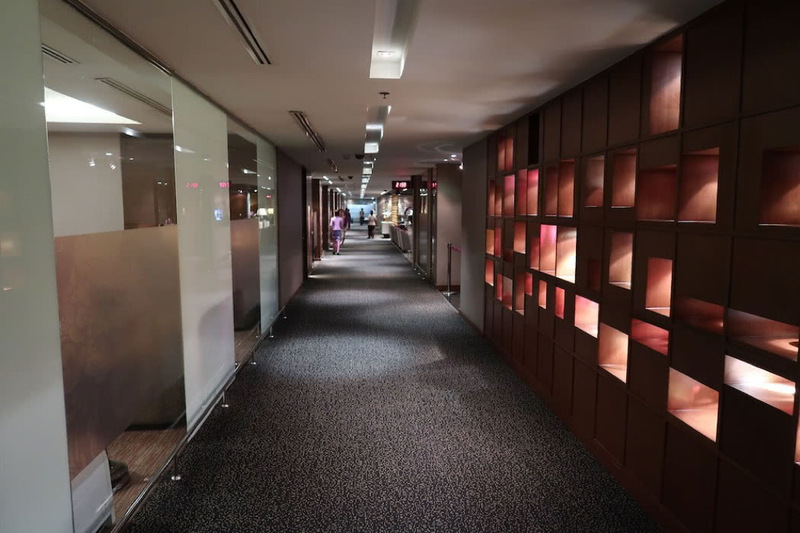 Staff members are constantly walking around and will take orders at your seat. 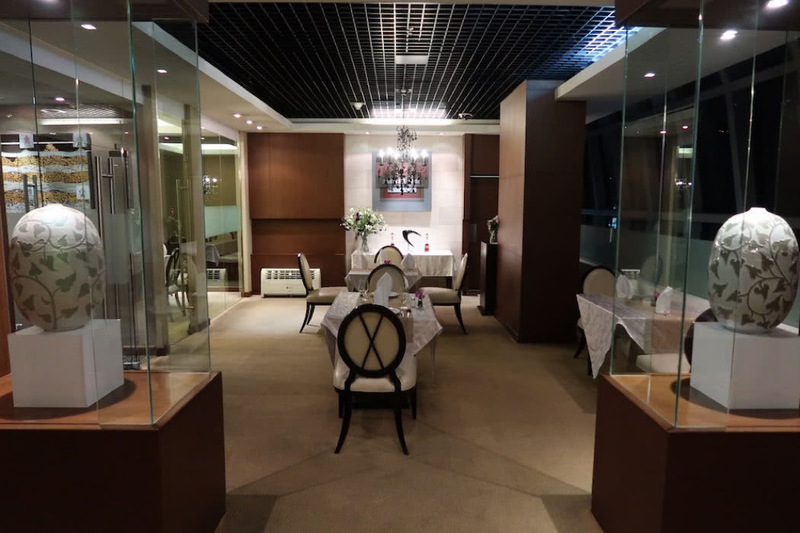 There’s a small dining room in the back of the lounge, offering à la carte dining for 22 guests. 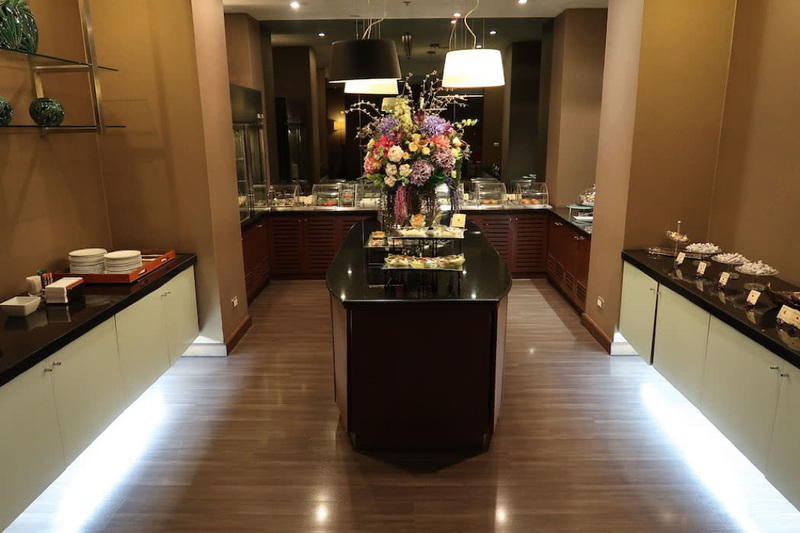 In addition, there’s also a small buffet across the dining room, although the spread is a little underwhelming compared to the à la carte offerings. 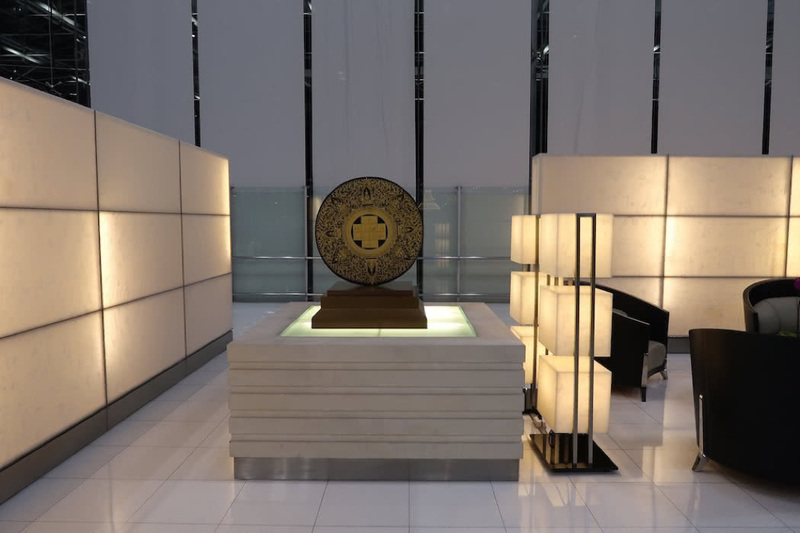 one perk of the lounge experience is that all First Class guests are entitled to a complimentary 60-minute full body massage. 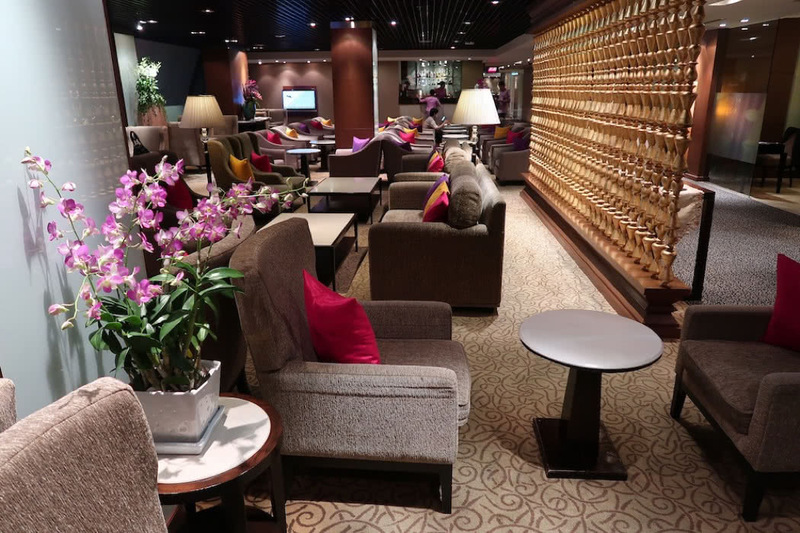 You can see the look and feel of the lounge from the photos above.